The Mishimoto performance aluminum radiator for the 2005-14 Ford Mustang is a great upgrade over the stock Mustang radiator. Designed and specifically engineered to maximize cooling efficiency by up to 30%, boost engine functions, and protect your car from overheating. 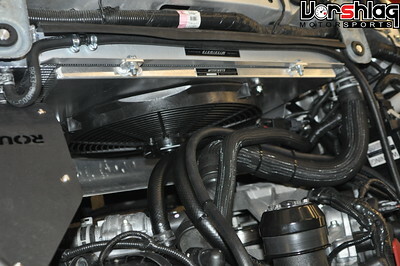 This Mishimoto unit has a BIGGER core and holds more fluid than the small OEM unit. 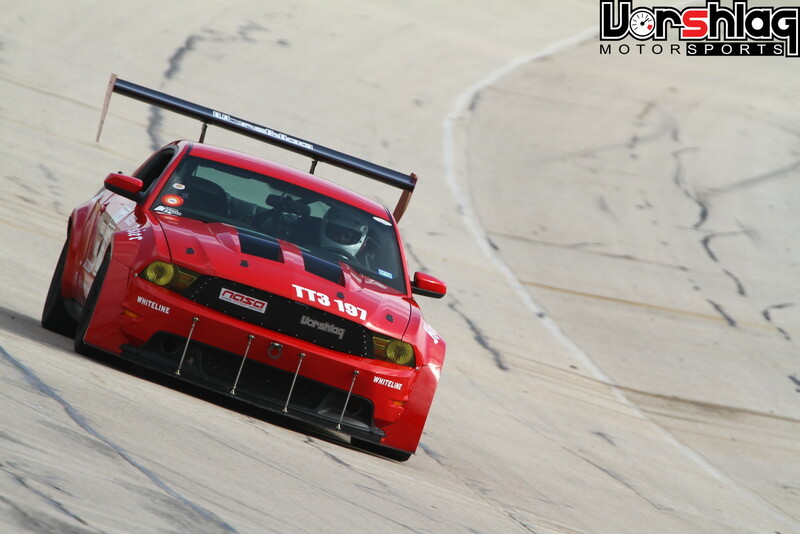 The Mishimoto unit has fabricated and welded aluminum end tanks and a much thicker aluminum core, unlike the OEM unit which has plastic end tanks glued to a skinny little core. 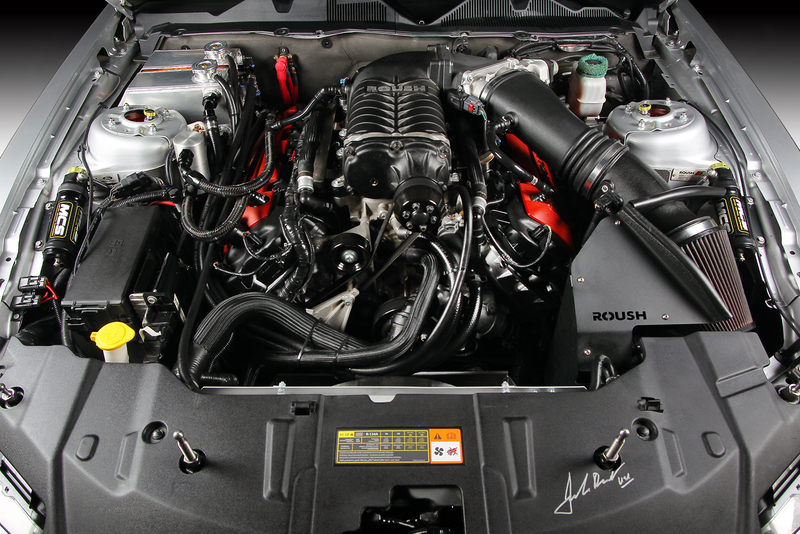 Whether you use your Mustang for daily driving or take it to the track, many people overlook the importance of installing an upgraded radiator in their engine. The stock radiator can barely handle the heat that comes from the 2005-2010 4.6L V8, much less the later 5.0L Coyote V8 or a supercharged V8 (GT500, Roush, etc). 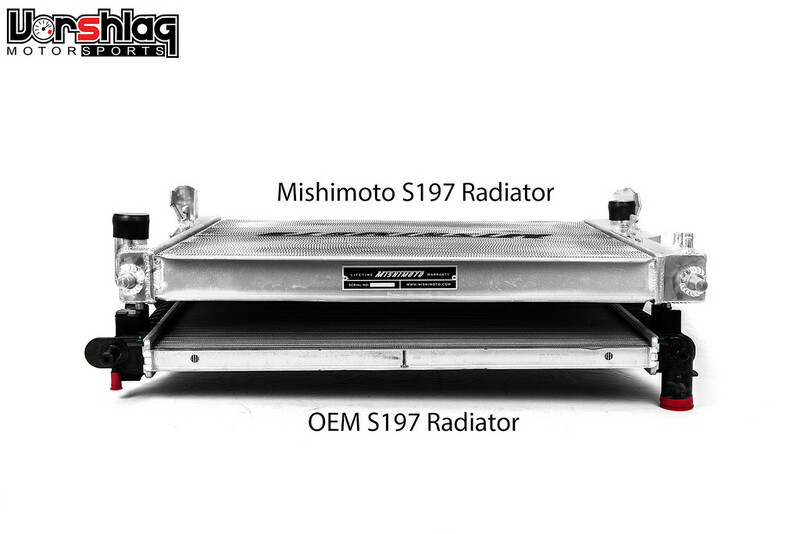 The Mishimoto Mustang radiator features a lightweight triple core, 100% brazed aluminum, and polished end tanks. Every Mishimoto Performance Radiator is a direct OEM fit, making installation effortless, no cutting or modification is required. Bolt it more cooling capacity for as little as 1/3rd the cost of some other options out there? This is a no-brainer. Overall size - 29.3" x 21.5" x 2.55"
Core size - 19.49" x 23.94"
Tank wall thickness - .08"
Drain plug thread size - (M16) .06"
Drain plug thread length - .047"
The image above is a real eye opener. 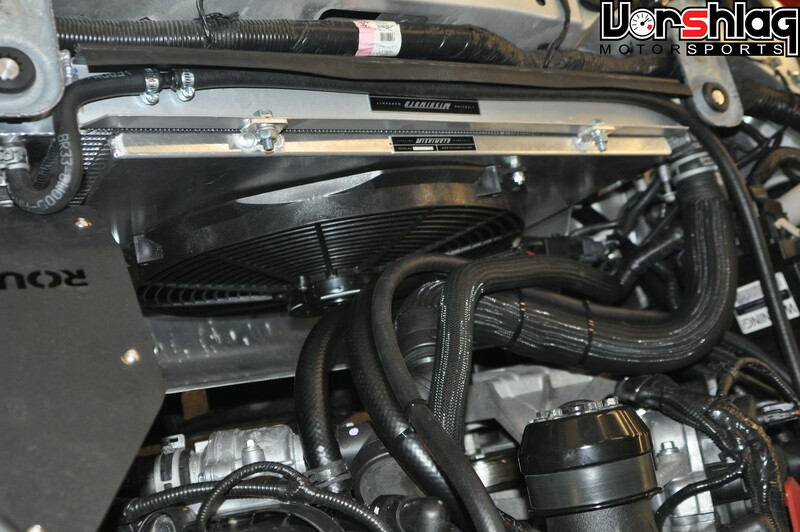 That is the OEM radiator used on the 2011-14 Mustang GT's with the 420 hp Coyote V8 stacked up against a Mishimoto radiator for the S197 chassis. The welded aluminum end tanks give you peace of mind over the plastic bits, and the core that's twice as thick give you the added cooling capacity. 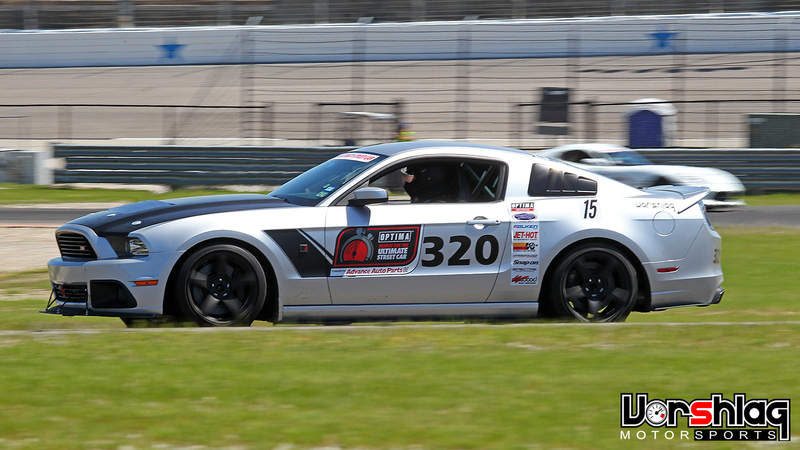 This highly modified 2014 Roush Stage 3 Mustang is something we worked on extensively here at Vorshlag. As you might imagine, these supercharged Mustangs are difficult to keep cool on track, even with the Roush upgraded heat exchangers. After adding an oil cooler and a massive intercooler, the customer finally went with the Mishimoto radiator upgrade + Mishimoto fan and shroud kit. Big improvement in cooling in this 634 whp supercharged track beast, and now we will start with the Mishimoto upgrade first!